Hannity Bests Maddow In First Month At New Time Slot - Joe.My.God. Fox News Channel’s Sean Hannity went head-to-head with MSNBC’s Rachel Maddow, and it wasn’t even close. 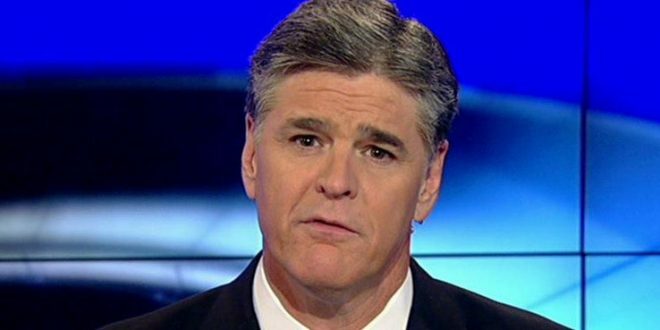 In October ratings released Wednesday by Nielsen, Hannity dominated cable news, finishing in first place with 3.2 million total viewers, well ahead of Maddow, who landed in third place overall with 2.5 million total viewers. Fox News’ Tucker Carlson took second place with 2.8 million viewers. Hannity’s rise to first place ends a strong run by The Rachel Maddow Show, which had finished the third quarter of 2017 as the No. 1 show in cable news, the first time any MSNBC show had finished first in the Nielsen ratings for an entire quarter. Fox News’ reworked prime-time lineup, which moved Hannity to 9 p.m., meant Hannity and Maddow would compete directly–and so far, Hannity’s winning that matchup. Among viewers 25-54, the key demographic coveted by advertisers, Hannity was first, with 686,000 viewers, followed by FNC’s Tucker Carlson (581,000) and Maddow (558,000). The Rachel Maddow Show was the highest-rated non-Fox News show on cable, and the only one to break into the top five in the key demo, which included Fox News Tonight in fourth place (468,000) and The Story with Martha MacCallum in fifth (450,000).